You are here: Home / Changing the Nation / How Do We Pray? Last week we discussed the reason why we pray, but we didn’t really discuss how we are to pray. So now, already knowing why we pray, let’s discuss how to pray. Seeing as the Bible is our ultimate authority on how to live our life, I thought it’d be best to start with a passage from scripture to work through and study. The passage I have chosen is Matthew 6:5-13. I chose this passage because it is how Jesus taught his disciples to pray. First off, he tells them how not to pray. We are not supposed to pray in the synagogues or street corners where many men can see us. He knows that these men pray, using their many words and long-winded speeches in the hearing of a crowd. He knows that they do this only to inflate their pride by appearing spiritual and holy, when in reality they are no better than the sinners they have surrounded themselves with. Then, Jesus tells us to pray in secret, out of the hearing of others. He tells us to do this not to prevent others from benefiting from our prayers, but to remind us that we are talking to our Daddy, not impressing our peers. He’s trying to bring our focus back to Him, and not to the thoughts of those around us. You see, we don’t pray to make our friends think we’re spiritual, just as we don’t talk to our dad to make our friends think we’re impressive. We pray because we want to. We pray because it is a joy to us to talk to our Daddy and our Savior. Now, let’s make our way through the Lord’s Prayer. Notice the first thing Jesus says is a praise to his Father. “hallowed by Your name.” Our God is great and worthy of all of our praise, so the first thing we should do when we pray to Him, before asking for something or sharing our worries, is to praise His mighty name. Next, we are to surrender to Him. Our own thoughts and plans are limited and flawed compared to His perfect and beautiful plan. Surrender to His will is the greatest thing we can do in this life. After surrender to God’s will, Jesus prays,” Give us this day our daily bread,” Lord, we know that you are the only one who can provide for us, so we ask you to provide for us our daily bread. We would trust no one else. “Forgive us our debts, as we also have forgiven our debtors.” God forgave us for all of our immense sins: forsaking His will, spiting His sacrifices for us, and loving the world more than we love Him, our Creator. These sins are great, and yet He gladly forgave and forgot them, as horrible as they are. How much easier should it be for us to forgive the sins of others against us. Finally, we ask God,” do not lead us into temptation, but deliver us from evil.” We shouldn’t try to defeat the temptations and evils of this world by our own strength; we are too weak. Rather, let us rely on our Mighty Protector to deliver us, for He is strong, and He wants to help us. 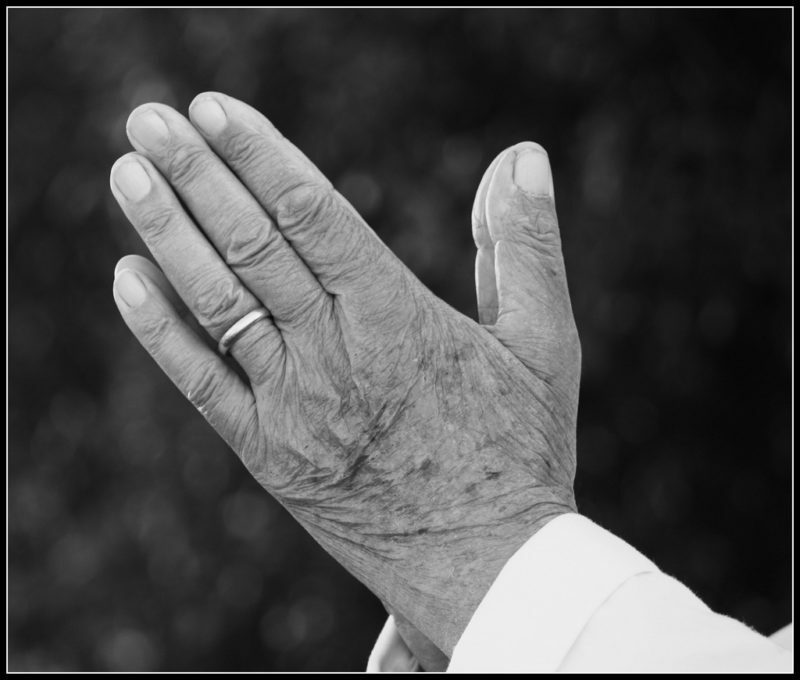 I could have written a post on each of the aspects of prayer described in the Lord’s Prayer, and maybe I will, but I hope that this has helped you to understand the aspects of prayer and how we pray to our Mighty Savior.